Open a Chefs For Seniors Franchise & be your own boss. Becoming a CHEFS FOR SENIORS Franchise Owner is a great, low cost way to recharge or redirect your career and make a difference in your community while you do it! As a small business owner, you own an exclusive territory where you operate your own CHEFS FOR SENIORS business, decide your own schedule, and generate income. As a Franchise Owner, you will be supported by our team at the Home Office, who are available anytime to help ensure you succeed. You're in business for yourself, but not by yourself! 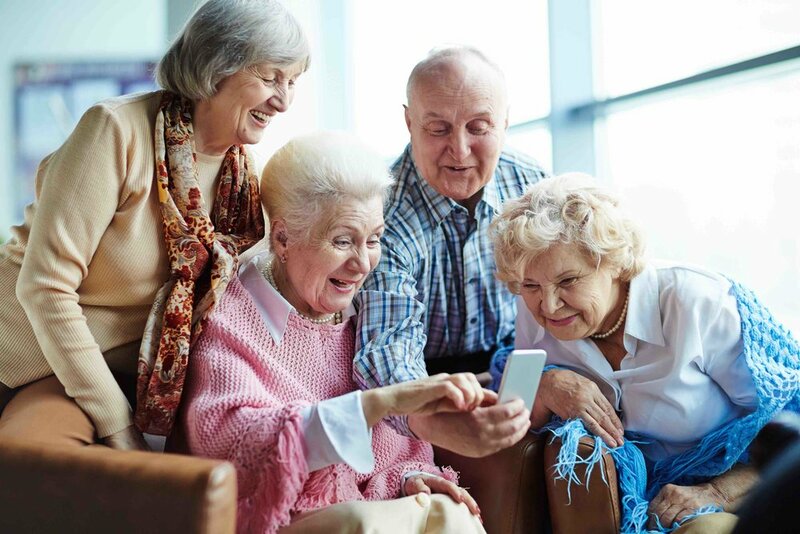 with the aging population growing rapidly, now is the time to start a senior services business. Are you ready to join the CHEFS FOR SENIORS team? Chefs For Seniors only awards franchises to highly qualified candidates who meet our high standards and believe in our mission. You and your employees must be properly licensed, have a clean background, and years of relevant experience. The use of our trusted national brand enhances your credibility with potential clients, a critical factor in the senior services industry. Our Franchise Owners start with an intensive 2-day training course in Madison, WI where our dedicated team of experts will guide you through each specific function of your business. You'll learn about topics such as marketing, sales, staffing, operations, and accounting. The Chefs For Seniors Support Team will provide comprehensive support on an ongoing basis for all Franchise Owners. When you need help there is endless support available, and you'll have access to the founders of the company. 95% of seniors want to remain in their homes as they age, and the service your franchise provides helps clients remain independent. Studies show loneliness can be as dangerous to seniors' health as smoking a pack of cigarettes a day and over 30% of seniors who visited an ER last year were considered malnourished or at risk. Chefs For Seniors fills a need! 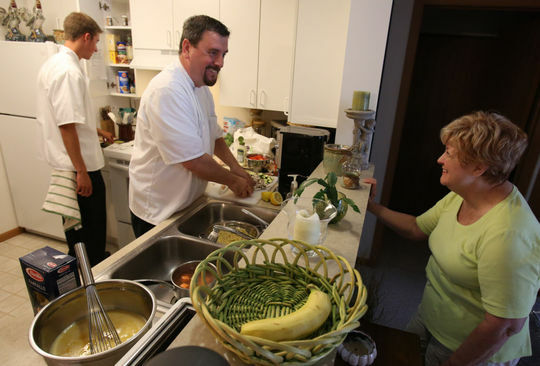 Chefs For Seniors is a first-of-its-kind service in the booming senior services industry. The market for senior meals in the US alone is $20 billion annually, and the 65+ population is expected to increase 33% from 2020 to 2030. The initial investment for launching a Chefs For Seniors Franchise is low compared to other business models. Combine that with ongoing low overhead and the ability to work from home, and launching your own business is more affordable than ever. Being a Chefs For Seniors franchise owner gives you the flexibility to make your own schedule and spend more time with those you care about. You can work from home if you choose and create a business that fits your lifestyle! Franchise owners operate locations across the US. Chefs For Seniors was featured on NPR in 2015. Barrett Allman has over 25 years of experience as a chef and restaurant owner. Chefs For Seniors was founded in 2013 by Barrett Allman, an executive chef and restaurant owner with over 25 years of experience in the food service industry. 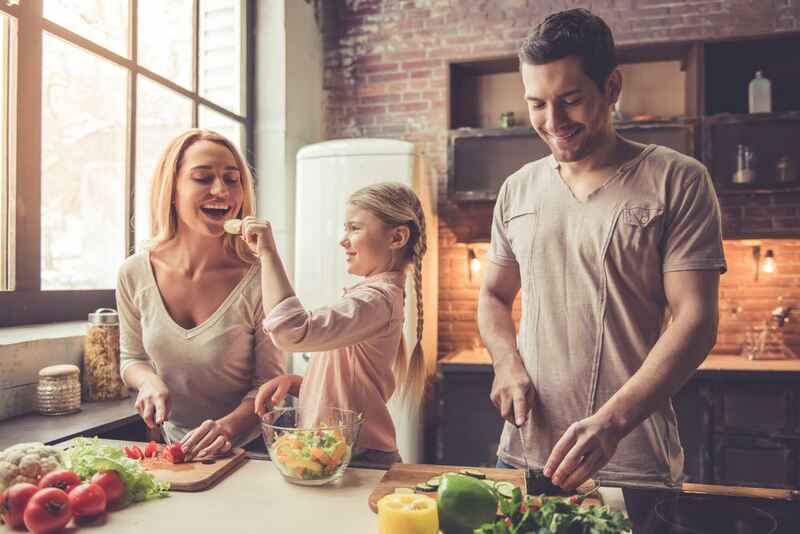 As is the case with many other professionals in the industry, he found it challenging to maintain a balance between work and time with family. He wanted to find a way to use his skillset as a professional chef to make a difference in his community, while giving him flexibility. In talking with senior customers in his restaurants, he was struck by how many told him they struggled to cook meals for themselves. He wanted to connect with the people he was cooking for and came up with the idea for a service that would enable seniors to age in place. A few months after the company was founded, Barrett’s son Nathan joined the Chefs For Seniors team. For the first year, Nathan and Barrett prepared meals for clients themselves in Madison, WI (where the company is based), learning about seniors’ specific needs and fine-tuning the business model using lean startup concepts. As demand for Chefs For Seniors grew, they brought in other chefs in the Madison area, eventually expanding to other states. In May 2016, the Chefs For Seniors team participated in Batch 17 of 500 Startups, one of the most prestigious startup accelerators in the world. Based in Silicon Valley and specializing in growth marketing, the program has an acceptance rate of less than 2%. The accelerator program gave the team extensive knowledge of online marketing (i.e. Facebook and Google AdWords), traditional offline marketing (direct mailers, press relations), building referral networks, and personal selling. Since its inception, Chefs For Seniors has prepared over 150,000 meals for seniors in 12 states, and currently has 24 locations open throughout the country. CHEFS FOR SENIORS is one of the lowest cost food franchises available! 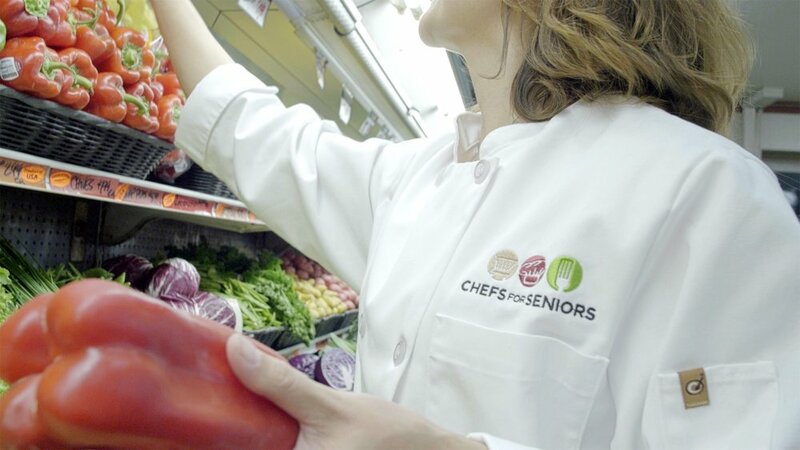 Whether your franchise startup budget is under $10,000 or over $20,000, the CHEFS FOR SENIORS system provides an amazing opportunity. No matter which of our three investment options you choose, you'll always receive our exceptional service and support. You and our Home Office team will decide which tier is the best fit for your goals. * Veterans receive a 10% discount on the Franchise Fee. ** Additional working capital comprises estimated startup expenses for the first 3 months in business including insurance, software, travel for training, marketing, etc. Working capital will vary for each franchise location. *** These figures are taken from Chefs For Seniors Franchising, LLC's FDD Item 7 issued 3-22-2019. See our FDD for important assumptions and qualifiers relating to these figures. + Are there special qualifications for becoming a franchisee? Do I need to be a chef? We are looking for individuals that have good business acumen, a strong work ethic, and a willingness to follow our proven system. In addition, we want you to have a passion for food, nutrition, and working with seniors! We believe this is an important factor in engaging with and understanding the needs of your clients. Of course, previous experience as a chef is helpful but not a requirement. With every aspect of our concept fully developed, we are confident in our ability to train Franchise Owners to successfully duplicate our system. + What are the differences between the Basic, Extended, and Regional franchises? The only differences between the three options are the initial franchise fee, estimated upfront investment, and exclusive territory size. Territory sizes ranges from 25,000 to 90,000 people over age 62. + Can I hire employees to do the cooking? Yes! Especially for the larger Extended and Regional territories, hiring employees is a great way to expand your client base while providing an amazing job opportunity. + How much money can I earn from a Chefs For Seniors Franchise? The success you have within our system will be affected by a variety of factors including your location, skill-set, and tier selected. For that reason we do not make specific earnings claims concerning potential income. Instead, we provide information to you as permitted by the Federal Trade Commission (FTC) that allows you to prepare financial projections based on your specific franchise. + Does Chefs For Seniors provide financing? Chefs For Seniors does not provide financing. We are looking for candidates with the means to secure financing on their own. 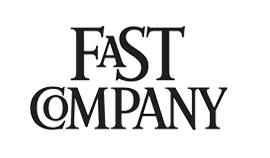 + How long does it take to become a franchisee? Most of that depends on you and how much time you want to dedicate to our Discovery Process. On average, it should take between 30-45 days for you to fully evaluate our concept, for us to get to know you, and to mutually decide whether or not the "fit" is right. After signing the Franchise Agreement, new franchisees have a maximum of 90 days to open their business, although most open within 2-3 weeks of returning home from training. + Can I speak with current franchises owners? Yes! During our Discovery Process we will connect you with existing franchise owners you can speak to their unique experiences. We ask that you not contact current franchise owners prior to the home office making introductions. Want to learn more? Request a FREE info video! 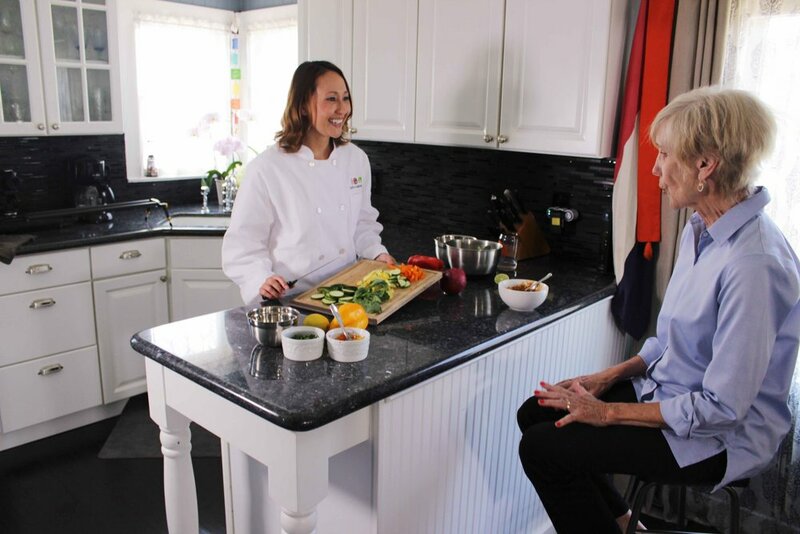 Get connected with our home office team to receive a 20-minute informational video and help determine if a chefs for seniors franchise is the right fit for you. Thank you for your information! We will be in touch with you soon to discuss our franchise opportunity further. © 2019 Chefs For Seniors, Inc. All rights reserved. Each Chefs For Seniors franchise location is independently owned and operated.